Digital Patient Photography Made Easy! 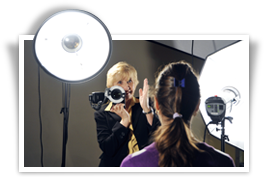 Are you confused about the camera set up instructions to get great clinical photographs? Do you feel you are not using this new and exciting technology to its fullest and are not satisfied with the results? Learn how to photograph patients for treatment planning, medical/legal documentation and how to use the photographs for patient education and practice enhancement. Get to Know Your Camera - What are all these buttons and what can they do for me? Improve your picture by calibrating your camera settings and exposures for dental photography and get consistent results.